Thanksgiving is always a special time because we get to show our gratitude not only with our families but with our community by serving them on Thanksgiving Day. 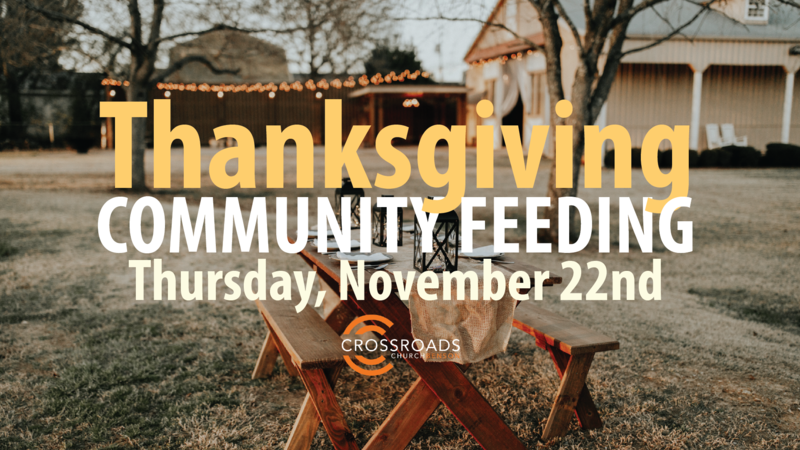 Join us early this Thanksgiving Day as we team up with other local churches and provide a Thanksgiving meal to people in our community. We will be meeting at Crossroads kitchen at 8am that morning to carve up 35 turkeys. We will have everything, although we could use more knives, so if you are coming please bring a knife with you. We will head out to the Singing Grove on Main Street at 9am and begin serving at 10am. So you can come anytime that best fits your schedule and stay as long or as short as you want. We will be preparing plates and delivering them out to the community. It is always a great time together and great opportunity to serve our community with “the church”. If you would like to help serve the food, sign up below. We hope to see you there!